If there is no advertising budget to promote your business, try “earned media.” Earned media or “free media” is one of the most efficient and cost-effective methods to reach a large audience. Unlike paid media or advertising, earned media builds credibility in the minds of consumers because it usually comes from a credible third-party person or organization. An example of earned media is a customer testimonial sharing their experience of your product or service. Public relations, word-of-mouth, social media (such as Facebook and Twitter) and public service announcements are also earned media. A press release published in the newspaper, viewed on a web site, heard on the radio or broadcast on television are all communication vehicles of earned media. By creating good content that is newsworthy about your business, you can generate media coverage that targets your audience with your specific message. It is simply positive exposure for your business. It is also a powerful communication tool that is underutilized. 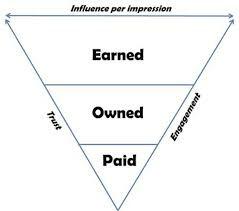 Earned media exposure breaks down to whom you know and who knows you. It is important to identify and establish relationships with the media. It takes time to understand how they work, what they require and what you have to offer. For a non-profit organization, seize the opportunity to use a public service announcement (PSA). PSA’s can be very effective since broadcasters (television and radio) as well as publishers often run PSA’s in donated airtime or unused advertising space. It is a targeted message to promote and heighten awareness, educate the masses and call viewers to action. One rule of thumb is that a PSA is not an advertisement, but a service for the public good. Government agencies and almost all non-profits will qualify for PSA time. Earned media follows the same rules as a press release. It should be professionally produced with newsworthy content. It should also focus on your niche product or service. Although earned media is free, your time is not. It doesn’t happen overnight. Get yourself organized and create an earned media calendar. It is the most powerful free communication tool you have.